Turčová, I., Bartůněk, D., & Martin, A. (2007). Outdoor Sports in Educational and Recreational Programmes. 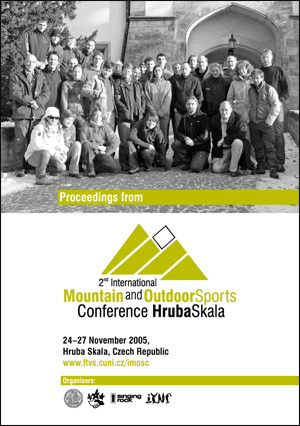 Proceedings from the 3nd International Mountain and Outdoor Sports Conference, 23-26 November 2006, Hrubá Skála, Czech Republic. Praha: IYNF. ISBN 80-903577-4-1.